We offer fun and engaging private guitar lessons in Agoura Hills for kids, teens and adults in the comfort and privacy of your own home. Music School To Go delivers high caliber guitar lessons with experienced teachers who love music and love to teach. Guitar lessons for beginners is our specialty. In addition, we also specialize in guitar lessons for kids. 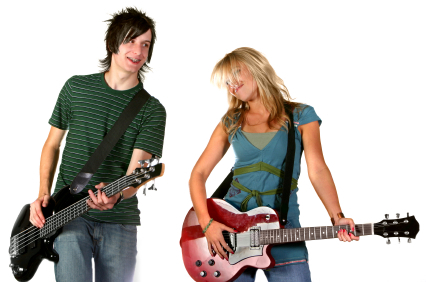 We teach acoustic and electric guitar lessons in Agoura Hills and surrounding areas. Children and teens enjoy electric guitar lessons. You will learn to play guitar with our outstanding team of highly experienced and patient teachers. Our teachers make learning to play the guitar fun and easy. Lesson plans are designed to foster a lifetime love of music. Our guitar teachers will guide you through the learning process and make each lesson the absolute best experience. If you are ready to start your musical journey, finding the right guitar teacher in Agoura Hills is the biggest decision you will make. We make that decision easy with our highly experienced, talented and inspiring team of teachers working together to serve our communities. We take pride in bringing you the very best in private guitar lessons in Agoura Hills that inspire creativity, passion and a genuine enjoyment of music. Our teachers have received their music education from prestigious institutions such as Berklee College of Music, UC Davis and University of Southern California. Not only are our instructors highly qualified, they truly know how to explain concepts and enjoy music with students of all ages and levels. 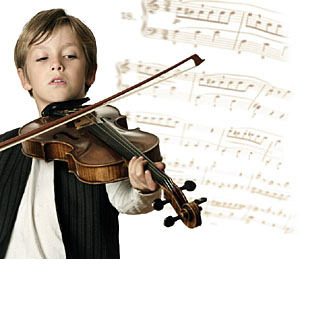 At Music School To Go, your teacher will be friendly, patient, professional and FUN! When you choose Music School To Go, you'll enjoy the advantage and convenience of guitar lessons in your home. You will learn to play guitar at your own pace and tailored specifically to you. Whether you sign up for beginner guitar lessons or are an advanced player, our teachers are ready to help you learn. It's your music, on your schedule, with the best teachers in Agoura Hills! We balance musicianship and fun by making sure that at each lesson you are challenged with a new technical concept, but always end with something fun such as your favorite song or riff. Our teachers are adept at teaching a variety of styles from rock, pop, metal, blues, jazz, classical and country. Whether you want to learn to play guitar like Jimi Hendricks or find your own unique style, our teachers will help you become the guitarist you want to be. We specialize in guitar lessons for kids and teens. Children and teens enjoy learning electric guitar. 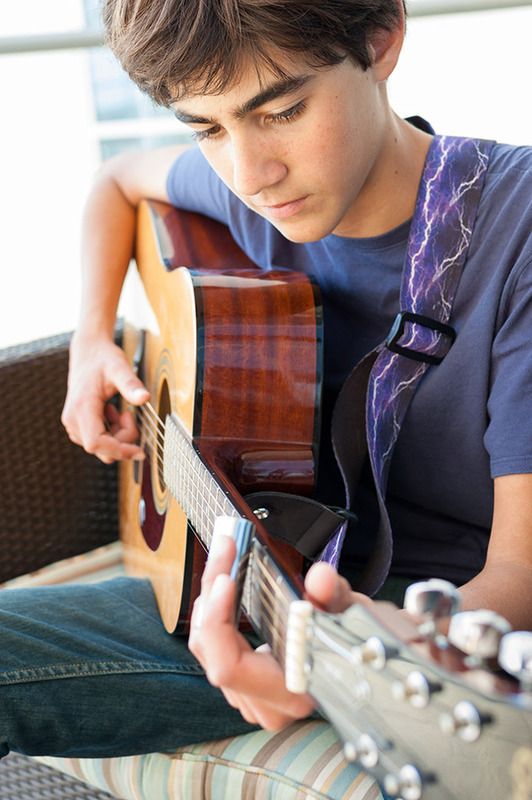 We offer both acoustic and electric guitar lessons in Agoura Hills for kids. Our electric guitar lessons for kids are fun and inspiring. Help your child gain a lifelong love and understanding of music and give her or him the opportunity to experience the success that comes with committed practice. We offer 30, 45 and 60 minute lessons Monday through Friday with gentle, patient and enthusiastic teachers who enjoy working with children and teenagers. Fun lessons! In years of helping young people to play guitar, the teachers at Music School To Go have found that motivation is the most important element of success. This means we teach favorite kids songs to younger children, and popular pop and rock songs to teenagers, in a professional but enjoyable atmosphere. What will you learn in your beginner guitar lessons? You will learn fundamentals of good guitar playing, basic chords, strums, simple songs and achieve a good foundation on which to build further study. Whether a beginner, intermediate or advanced, an adult or child, Music School To Go's teachers will guide you through the learning process and make lessons fun and easy. As a beginner, you need an experienced teacher. An experienced teacher will take the time to listen and have the patience to guide you every step of the way. Staying motivated should never be a problem with the right teacher. In fact, maintaining your progress while tackling technique and repertoire is something we’ve mastered. We proudly offer two fun, low key recitals each year so you can show family and friends your progress. The recitals help you stay motivated and to practice more. These music recitals are free, and we do not charge recital participation or admission fees. Simply put, our mission is devoted to you. We'll make the most of your musical talent and help you achieve your goals. Contact us or call today to schedule your Private Guitar Lesson. We have been serving families in and near Agoura Hills, CA since 2004. We hope your family is the next to join our Music School To Go family!